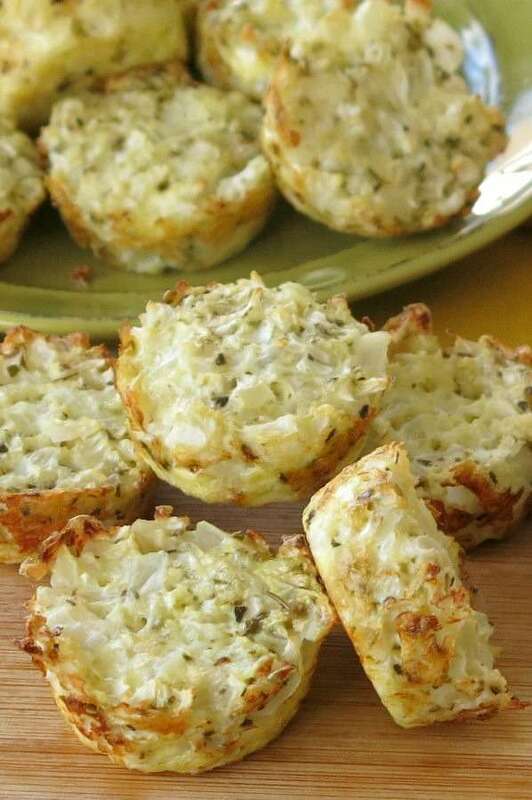 Cauliflower Muffins recipe with just 5 ingredients that don’t include grains or flour! Perfect for a healthy, low-carb snack or side with breakfast or dinner. Amazing cauliflower does it again! 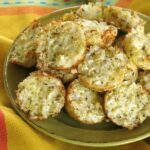 It stands in for grain to make this cauliflower muffins recipe grain-free, flourless and gluten-free, not to mention low-carb and keto-friendly. It’s no surprise. We’ve put cauliflower rice to the test before, making curried cauliflower rice, cauliflower grits, and cheesy cauliflower pizza bites all with fantastic results. So, do these taste good too? A resounding YES! They have the texture and flavor profile of hash browns or tater tots and are the perfect side for breakfast or dinner! Once you’ve fallen in love, check out Broccoli Muffins with Cheddar Cheese which are a variation of this recipe that uses riced broccoli! To make this recipe, combine riced cauliflower, diced onion, shredded cheddar cheese, Italian seasoning, and egg. Scoop into muffin tins and bake. It’s very easy if all the ingredients are already prepped. Keep packages of cauliflower rice in your refrigerator or freezer for impromptu cauliflower egg muffins anytime. Using muffin tins makes the cooking process very, very easy. Regular or mini muffin tins coated to prevent sticking will work. We are partial to the mini size which cooks quickly and also becomes bite-sized. It’s the same thinking we used for our Zucchini Egg Muffins recipe. Note that pressing down with the back of a spoon or fingers will compact the mixture for a nice firm muffin that does not easily crumble. Have these for a healthy snack. Check out this quick recap of the process. Please rate this recipe and tag @DinnerMom on social media. We love to see what you are cooking up. Cauliflower Muffins recipe with just 5 ingredients that don't include grains or flour! Perfect for a low-carb snack or side with breakfast or dinner. Mix cauliflower rice, diced onion, shredded cheddar cheese and Italian seasoning in a large bowl. Stir egg into cauliflower mixture. 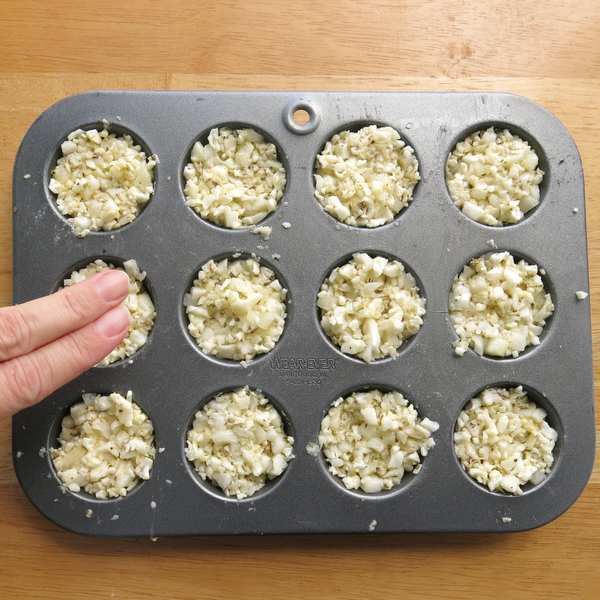 Scoop mixture into mini or regular muffin tins coated to prevent sticking. The yield will be about 24 mini muffins or 8-9 regular sized muffins. Press mixture down with the back of a spoon or fingers. Bake for 25 minutes or until firm and starting to brown. Gently remove from tins and enjoy! 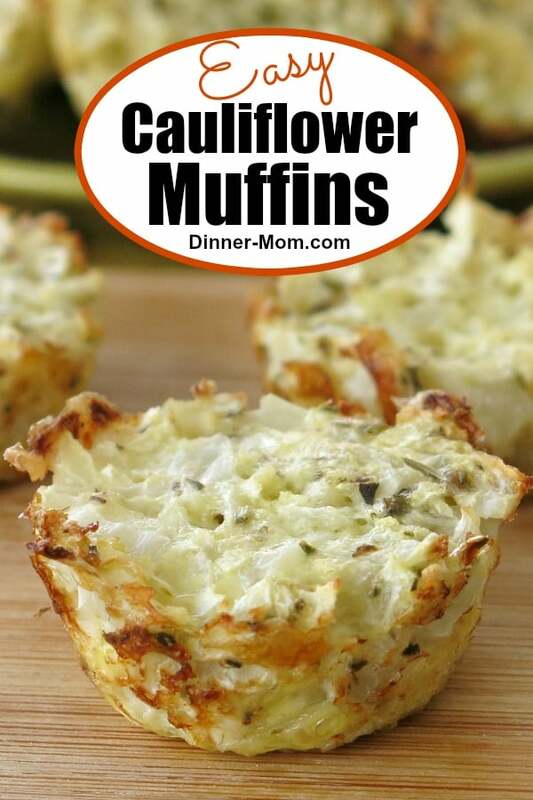 I love muffins and I definitely love cauliflower, so this sounds awesome to add into a dinner next week! I never would have thought of this but they sound so easy to make and the ingredients are good so I will have to give it a try. I bet my kids will love them too. Thanks for the recipe. These taste just like tater tots and I’ve been missing potatoes since going low-carb! Thanks for your comment! Made my day! Mine came out like soft mush. Wouldn’t hold together. I baked them for 25 minutes, then another 15 minutes. Still fell apart into a wet pile. Hi! Unfortunately, I’m not familiar with the HCG diet so I don’t know the answer to that. Do you cook the cauliflower rice first? Hi! 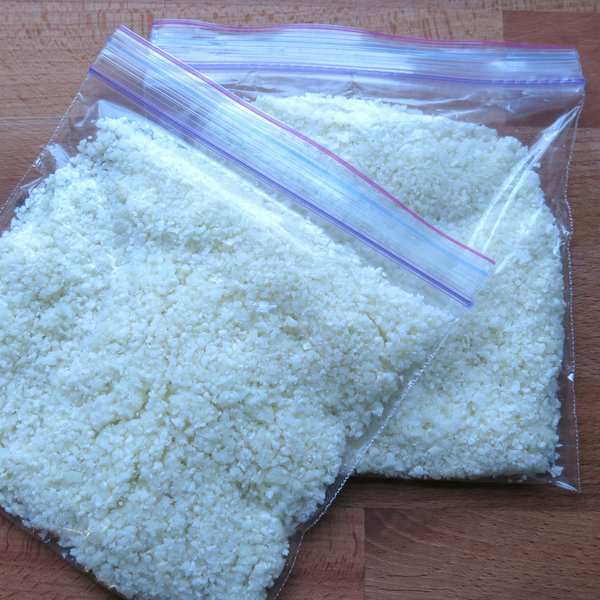 You do NOT cook the cauliflower rice first. Hi. Can I leave out the cheddar cheese altogether, or substitute it with Greek yoghurt? Thanks. I’ve never tried it with that substitution. A different type of cheese would be fine though! Made these today. I left out the Italian seasoning and they still turned out delicious! Certainly a healthy treat, too! Thank you! Hi! You can make this with frozen cauliflower rice. Break apart any clumps, measure and cook the same way!